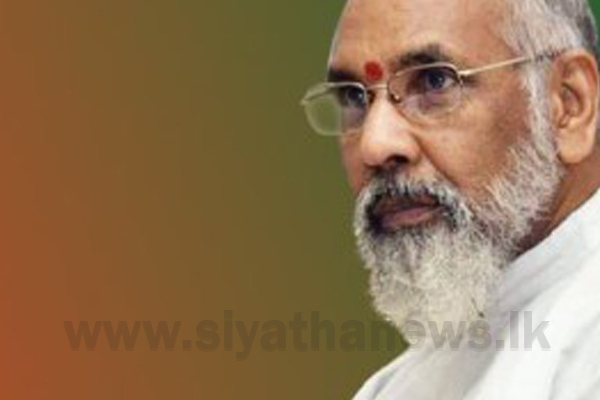 Vavuniya residents say that circulars against the former Chief Minister of the North Province C. V. Wigneswaran had been distributed in Vavuniya Town early this morning (02). According to the residents of Vavuniya, the leaflets were distributed in Thandikulam area and at several places in Vavuniya Town. A public meeting for the promotions of Wigneswaran’s newly formed party Tamil Makkal Koottani (TMK) was organized to be held in Vavuniya Town today. The leaflets have been distributed in parallel to this meeting. The leaflets claim that Wigneswaran halted all development projects in Vavuniya District when he was the Chief Minister and that he didn’t pay attention to the development of the district. Reportedly, the leaflets have been signed as ‘affected public of Vavuniya’. The leaflet further says that a such person cannot develop the Vavuniya district.